Alumni Ambassador Oyin Talabi reports on her experiences of attending the Energy stream at the 2018 Global Engineering Congress. The Institution of Civil Engineers (ICE) hosted their first Global Engineering Congress (GEC) in October 2018. The main focus of this congress was to discuss how engineers could help achieve the United Nations Sustainable Development Goals (SDGs).This congress was split into six key streams: Cities, Energy, Climate, Innovate, Inspire and Water. During the congress, I attended the Energy stream. I found the congress very inspiring, exciting and relevant. It brought key actors from both more economically developed countries (MEDCs) and less economically developed countries (LEDCs) in one place to discuss challenges faced in their nations and globally. It was great seeing engineers, humanitarians, and world leaders network and come up with solutions together. This congress provided an opportunity to share ideas on a global scale and develop an action plan going forward. A key observation I made during the week was that people’s perception of the key challenges of a particular SDG was different depending on where they came from. 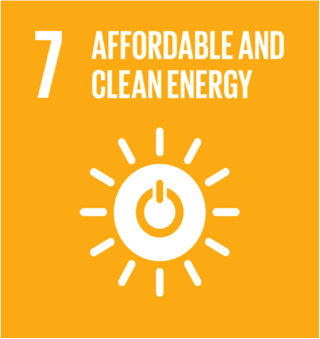 In order to illustrate this, I am going to use SDG 7, Affordable and Clean Energy, as an example. MEDCs are at a stage where reducing carbon emissions is of highest priority and they are more ‘readily’ thinking of ways to diversify their energy supply to reduce carbon emissions and strive for clean energy. LEDCs have different priorities. I found that they are more inclined to make electricity accessible to all their residents, even though this could involve using ‘dirtier’ fuel i.e. fossil fuel and biomass. 1.1 billion people (14% of the world’s population) in the world still do not have access to electricity. The map below shows that most of the population without electricity reside in Africa, Asia and South America. More than 95% of those living without electricity are in countries in sub-Saharan Africa and developing Asia. Africa accounts for just 3% of the world’s total energy consumption even though it makes up 16% of the world’s population.If electricity is made accessible to all using fossil fuels and Africa uses its ‘full share’ of the world’s energy consumption, how much worse would our global carbon emissions be? Would this negate the efforts being made by MEDCs to reduce their carbon emissions? We need to be able to align the goals of MEDCs and LEDCs, to ensure global progress is achieved. In terms of SDG 7, this goal must be to ensure electricity is affordable and accessible to all, whilst reducing global carbon emissions. Knowledge and skill sharing: Each nation has different priorities, driven by their economy, available resources and skill force. It is important to empower nations, especially LEDCs, with the skill and knowledge required to build and maintain cleaner, more sustainable and efficient systems. By doing this, we can ensure countries work towards a global goal and encourage technological leapfrogging in LEDCs. E = Unfit for Purpose. These cards are then published internationally aiming to apply pressure on the government of the country to fix failing infrastructure. Having IRCs allows the baseline of each country to be determined, thereby enabling more realistic national goals to be set, with the aim of achieving a global goal. Innovative solutions:Collaboration between countries could lead to more innovative solutions being developed on a global scale. The Clean Development Mechanism (CDM) is a great example of how countries are collaborating together to reduce their carbon emission on an international level. The CDM allows parties to the Kyoto Protocol to implement an emission-reduction project in developing countries. These projects earn certified emission reduction (CER) credits, each equivalent to one tonne of CO2. These CERs can be traded and sold, and used by industrialised countries to meet a part of their emission reduction targets under the Kyoto Protocol. Collaboration on a global scale is not expected to resolve all challenges linked to the SDGs however I believe it is a good starting point to achieve these goals. The GEC started a conversation between some key actors and provided an opportunity for an action plan to be developed. I hope to see progress being made towards achieving the SDGs and more collaboration events like the GEC in the future.